The benefits of kettlebells appeal to people of all fitness levels, ages and genders. This type of training is movement-based training. One of the most attractive benefits of kettlebell training is that they can be used by beginners or elite level athletes alike! Kettlebells – You’ll get a full body workout. 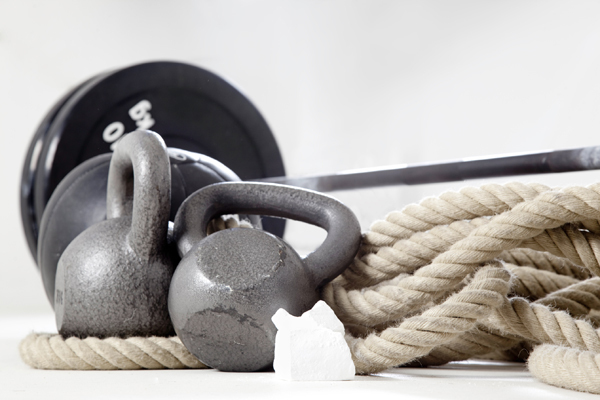 The kettlebell forces the body to work as an integral unit. Power is generated from the legs, driven through the hips and expressed through the arms. Every single muscle is brought into play while at the same time obliterating body fat, producing toned, firm physiques, boosting stamina, strength and power. And if that wasn’t enough kettlebell training can also strengthen joints, tendons and ligaments while improving flexibility and posture. By using kettlebells you can effectively get your cardio, resistance and flexibility training done in one hit! Kettlebells work the body as a complete unit which improves functional fitness enabling you to cope with daily physical tasks with more ease, less fatigue and fewer aches, and pains. Kettlebells allow you to engage your core muscles with every explosive move, helping you to tone that mid section and strengthen your back. Kettlebell training is great fun and completely different to anything you may have tried before – workouts fly by! The benefits of kettlebell training are tremendous, and can play a huge role in helping you to achieve your fitness goals, transform your body and provide a challenging and fun workout quite unlike any other workout you will have tried!